I'll admit it, I bought this for the packaging. I had some ASOS vouchers, it was in the sale, it went in my basket. No regrets. Just look at it! Good Lord, it's beautiful! I know some people aren't fans of frosted glass but I am all for it. The only problem is that it's quite heavy and bulky, so not ideal for carrying around. Nevertheless, it looks stunning especially with the floral design and vintage-inspired rose gold lid. Another bonus is the pump dispenser, which allows just the right amount of product. This primer is a thick creamy consistency, which unfortunately isn't particularly easy to apply. It's covers the skin fairly unevenly and leaves a slight tacky feeling on the skin. On application, the floral, powdery scent becomes very apparent. It reminds me very strongly of something my grandma used to use, which I realise isn't very helpful for you at all, but it definitely has that "Nana scent" to it. The promised moisturising quality isn't at all apparent, which is a shame, but neither is it drying. Once applied, the iridescent, pearly finish is very apparent, and this shines through sheer or medium-coverage foundations and blusher. 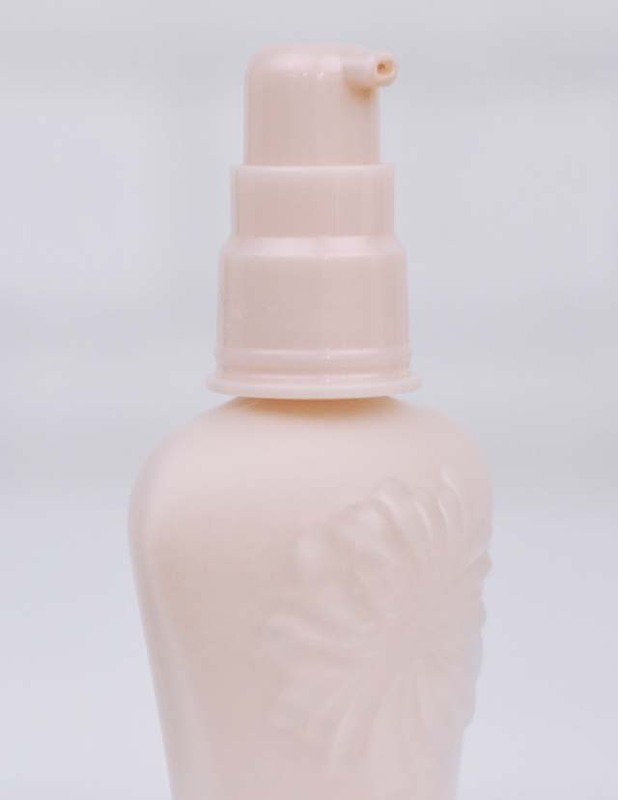 I prefer a matte finish, so it's not ideal for me, but if you like a dewy look, this would be perfect! When I used this, my foundation lasted longer than usual, although the uneven application and tacky feel meant it was more difficult to apply. A big bonus is the SPF 15 as I am set on staying as pale as possible! Although the dewy glow isn't quite the look I'm going for, I'll still continue using this, although I probably won't repurchase. It's worth it for how pretty it looks on my dressing table though! Buy Paul and Joe Moisturising Foundation Primer here. I totally agree about the frosted glass business, I love it. 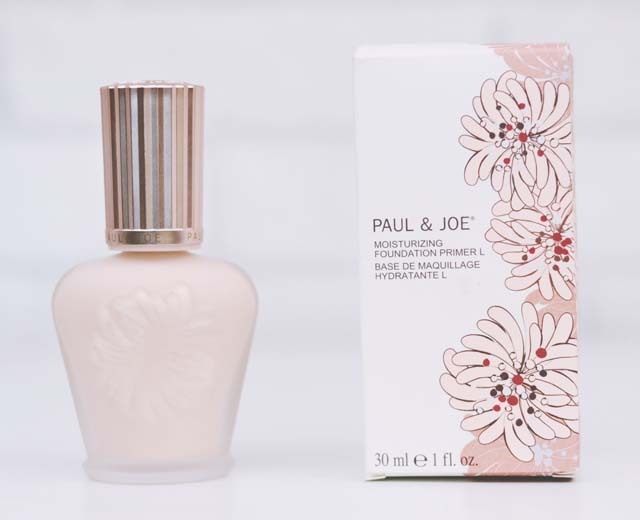 Paul & Joe always have the most amazing packaging!